For the people of the St. Charles area and all of Winona County, the Winona County Fair is truly some of the best days of the summer. During this time the fairgrounds located on the west edge of St. Charles, MN is awash with many sites, sounds, smells and colors– from the 4-Her with the prize ribbon in hand to the motion of a carnival ride- all are part of this wonderful event. Currently about 40,000 plus people attend this annual gathering each year. 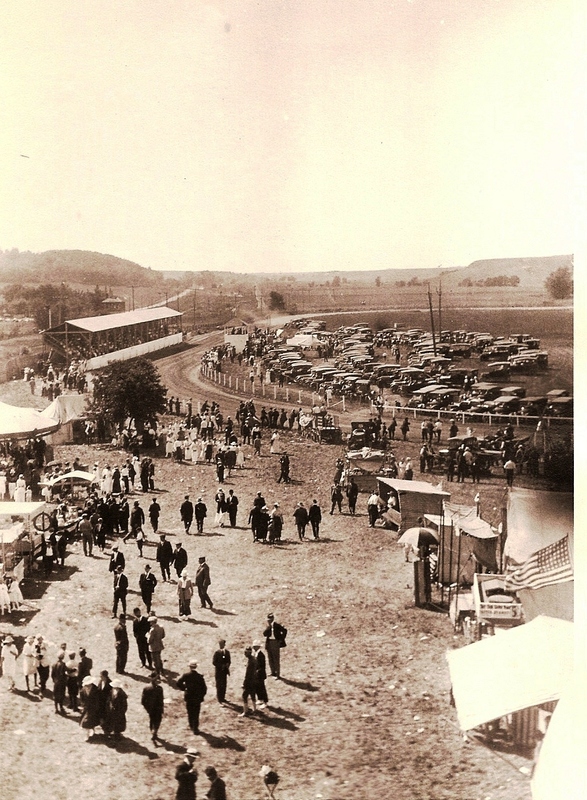 July 9 to 13, 2008 marked the 150th anniversary of the Winona County Fair. Many special events have been planned to celebrate the occasion. Farms, families, cities, townships, churches and other entities with a 150 year history in Winona County will be honored at the fair recognition program on July 10. The first Winona County Fair debuted on October 28 & 29, 1858 at the present site of the Westfield Golf Course in Winona, MN. During that event prizes were awarded for the best work oxen, bob sleigh, handmade work boots and sugar mill. The editor of Winona’s daily newspaper also noted that the 1858 event had fine farm animals, barnyard fowls and wheat and corn specimens that “no portion of the country can surpass in quality”. In an interesting historical note, the Winona County Fair was host to a wedding on August 27, 1889. An estimated 5,000 onlookers witnessed the vows between D.T. Hicks of St. Charles and Roanna Stinson of Winona. Fair officials sponsored the public wedding that newspapers accounts dubbed as a well thought out advertising campaign. The names of the couple were kept secret until fair time, and posters for the 1889 fair announced that a young couple were to be “married in public as a special fair event”. History shows that from about 1900 until 1917 there were always two fairs competing for the attention of county residents. For that period of years, downtown Winona also hosted events that ranged in name from the Winona Fair and Interstate Exposition, the Winona Street Fair and the Tri-County Fair. The Tri-County Fair was the last of such events, and ran from 1910 until 1917 when it was disbanded. That event was an association of Winona and Buffalo and Trempealeau Counties in Wisconsin. One account of the reason for multiple fairs during the early 1900’s came during a presentation by Fair Board President Warren Magnuson back in 1963. In a newspaper article Magnuson is quoted using the word “bickering” when describing friction among fair board members back in 1910 causing the fair association split. As a result of this split the Westfield Golf Course fair was moved to St. Charles in 1910 to land owned by Fred J. Small. The November 19, 1955 issue of the Winona Daily News reported a lease agreement with Small back in 1910, and in 1961 the Winona County Agricultural and Industrial Association officially purchased that 40 acre tract of land from Small’s family. At the first fair in St. Charles the second week of September in 1910, the governor of Minnesota addressed the crowds. Other events included horse races, an automobile parade and a daily balloon ascensions. From 1918 to the present, the St. Charles location has been the only county fair in Winona County. 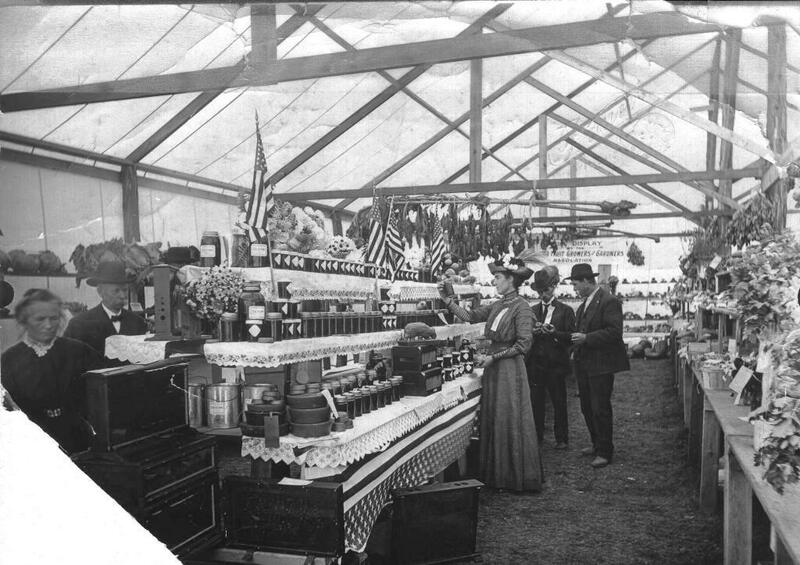 In the years between 1910 and 1917, the fair in St. Charles prospered, while Winona newspapers reported that the Tri-County Fair in Winona “declined in prosperity”. Back in 1910, it is assumed that fair buildings from Winona were moved to St. Charles via the railroad. The Winona County Fair Office building used during the 2006 fair, and the Methodist Dining Hall, were the last remaining structures on the grounds that came to St. Charles by train. During 2007 these buildings were taken down due to safety issues, and a new fair office was constructed and used during the 2007 fair. In 1961 the current 4-H Building was constructed, and over the past quarter century the fairgrounds has seen many other improvements. Those include a new grandstand, exhibit and commercial buildings, horse arena, livestock barns and a livestock judging arena. Just prior to the 2005 fair, the Winona County Fair Board was able to coordinate a project that brought paved roads from the fair entrance to buildings and attractions all through the fairgrounds. 2005 was the year the Winona County Fair was truly accessible to everyone, including the elderly and those with disabilities. The new fair office and the paved roads were a dream coming to reality by the generous financial support from the Winona County Board of Commissioners. The Winona County Fair is an educational event that not only showcases competitive events, but is a historic link to the past generations of Winona County. At the county fair the rural and urban populations have a chance to meet and connect. The Winona County Fair is especially proud to be a family event that provides youth activities and youth development through the 4-H program and open class exhibit opportunities. The fair is one of the largest learning laboratories around for youth, and 4-Her’s must exhibit at a county fair in order to participate at the Minnesota State Fair. From August 2007 to May 2008, the fair was especially proud to team up with the Southeast Minnesota Rural Education Center in St. Charles on a flood recovery/distribution center for victims of the August 2007 flooding. Donations of clothing, furniture, appliances and linens were among the many things available to flood victims free of charge. Four buildings on the fairgrounds were used for this purpose with fair board members and fair volunteers assisting the resource center with the project. More than 500 families affected by the flood in southeastern Minnesota were helped through this cooperative effort.